Oh, summer…how I will miss you. Farewell, fresh cut flowers from the garden. So long, sweet strawberries. 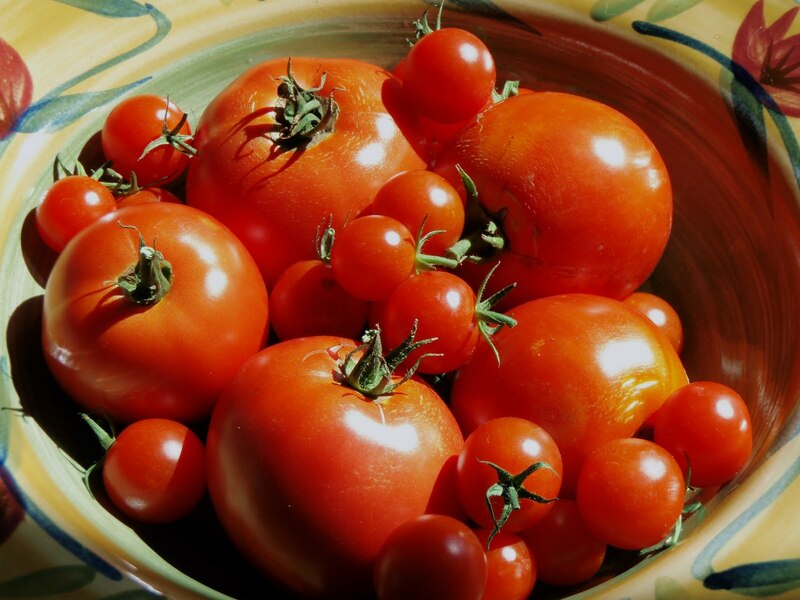 Adios, vine ripened tomatoes….until we meet again. For many of us, summer felt like a quick blip on the radar screen. Fortunately, I was able to harvest enough red tomatoes to make a few rounds of my favorite summer pasta. Unfortunately, I have MANY green tomatoes still left on the vine (thank you, Food Day, for your recent section on green tomato recipes!!!). This garden tomato sauce has become a summer staple for us and we can’t seem to get enough of it. We hope to enjoy a lot more of it next summer…. Remove stems. Cut an “X” through the skin on the bottom. Submerge in pot of boiling water until skin begins to peel off (30-60 seconds). Plunge into ice bath. Once cooled, remove remaining skin, cut tomato in half (along the equator) and remove seeds. In a large skillet, heat olive oil until shimmering. Add garlic and chili flake, saute for about 30 seconds, until fragrant. Add roughly chopped, seeded tomatoes and one teaspoon salt. Simmer for about 15 minutes or until liquid evaporates out and sauce thickens (I sometimes use a potato masher to crush the tomatoes). Add 1/2 teaspoon sugar and black pepper. 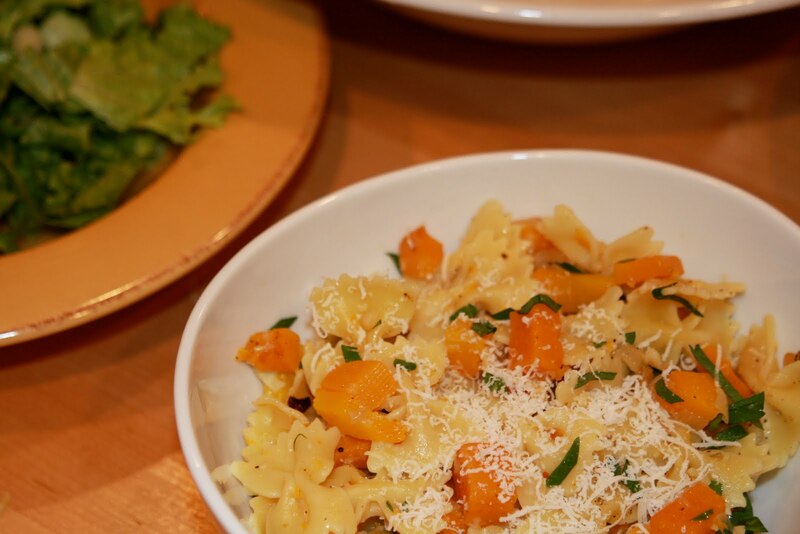 Toss with your favorite pasta and toppings. Our “summer garden pasta” usually includes: linguine tossed with fresh basil, chopped kalamata olives, feta, and/or grana cheese. It is also great with sauteed prawns.